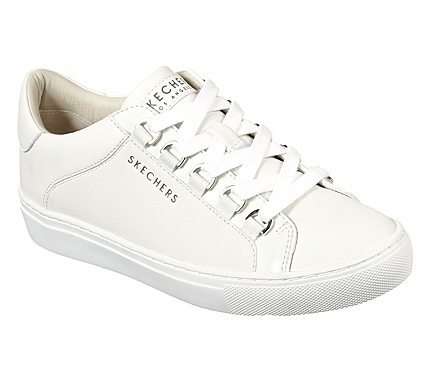 Put an added lift of style in your clean, cool look with the SKECHERS Side Street shoe. Smooth leather and shiny patent synthetic upper in a lace up classic sporty classic-style street sneaker with stitching and overlay accents. Rise Fit hidden wedge comfort insole.